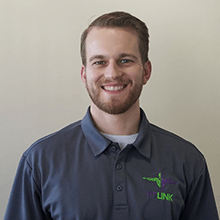 Mike is a physical therapist who graduated from the University of Toledo in 2017 as a Doctor of Physical Therapy. He attended UT for undergrad with a major in exercise science, and is a Certified Strength and Conditioning Specialist (CSCS) and certified in Integrative Dry Needling (CIDN). Mike was born and raised in Parma, OH and is a die hard Cleveland Indians fan. He enjoys lifting weights in the gym and staying active outside when he is not treating patients in the clinic. He lives to optimize his health and the health of all others around him.